Adobe Systems has released its new version of Adobe Social software for managing social media marketing, highlighting its integration with a bunch of channels including Flickr, Foursquare, Instagram and LinkedIn. 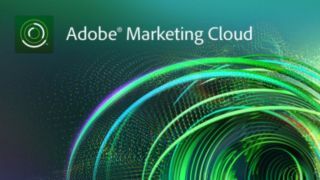 This comes on top of earlier integrations with Facebook, Google+, Reddit, Tumbler and Twitter, and shows that Adobe believes the buyers of its Marketing Cloud, of which Adobe Social is a major component, are devoting more attention to social marketing. Other new features include new predictive publishing capabilities, which help users determine how much response they are likely to get to individual pieces of content, and when would be the best time to publish. The system is programmed to learn as it goes, so it should get smarter in its recommendations as time passes. There is also a new interface that can be made available to external teams, and a single sign-on so users can get into all the Marketing Cloud solutions through the one interface. Mark Blinder, EMEA Director for Social Marketing Strategy at Adobe, told TRPro: "It's about making complex problems simpler for the marketer. The biggest problem in social media marketing is establishing the return on investment. "There are three big issues: that social data is different to other marketing data; that there are so many social channels; and the scale of it across the business, which goes from one or two people up to hundreds in some large companies." He said the new version of Adobe Social has been developed in response to feedback from customers that have highlighted these points. "It has a much more streamlined interface and we have hidden a lot of the more complex stuff in filters on the menus on the side," he said.